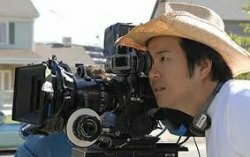 Beijing/Los Angeles, March 27, 2012: Bruno Wu’s Seven Stars Film Studios has signed its second joint venture to create Allied Productions East with financier/producer Jake Eberts (‘GANDHI’, ‘DRIVING MISS DAISY’, ‘DANCES WITH WOLVES’, ‘A RIVER RUNS THROUGH IT’, ‘CHICKEN RUN’). Jake Eberts and Bruno Wu, Chairman of Seven Stars Global Entertainment (SSGE), the parent company of Seven Stars Film Studios; and CEO of Harvest Seven Stars Media Private Equity Ltd (HSSMPEG), will both act as principals in the company. This news follows the recent launch of the $800 million HSSMPEG Fund which intends to invest across two distinct areas: mergers and acquisitions in the media field; and content creation. In addition the Fund will develop a multi-media marketing and distribution platform. The creation of content is the purview of Seven Stars Film Studios. Allied Productions East will specifically focus on developing and financing content in the Asian market for Asian audiences, utilizing HSSMPEG’s distribution platform and Eberts’ producing acumen. Development has commenced on the first Allied Productions East project, ‘MISSION BOYS’, with Erin Cressida Wilson (‘SECRETARY’) writing the story of 20 Chinese High School graduates arriving in the United States in the 1870s. Thrust into the highly competitive world of Yale and Harvard, they experience extraordinary cultural differences, with varying degrees of success. This is the second of three high profile multi-million dollar collaborations with leading filmmakers to be consummated over the coming weeks by Seven Stars Film Studios. On 19th March 2012, Seven Stars announced the creation of its first joint venture, Perfect Storm Entertainment, with acclaimed director Justin Lin. Harvest Alternative Investment Group (a subsidiary of Harvest Fund Management) and Sun Redrock Investment Group (founded by Bruno Wu) formed Harvest Seven Stars Media Fund Private Equity in February 2012. Harvest Seven Stars Media holds a set vision for the future of filmed entertainment and cinema, in Asia and beyond, and invests in two distinct areas: mergers and acquisitions; and content, and in addition will develop a marketing and distribution platform in all media. Seven Stars Film Studios, a subsidiary of Bruno Wu’s Sun Redrock Investment Group, is responsible for HSSMPEG’s content development through a number of filmmaker deals and individual film investments. It will potentially license content to HSSMPEG for its marketing and distribution platform. Get your own water... We're on strike!